This is your simple three conductor sensor cable with electrode pad leads. 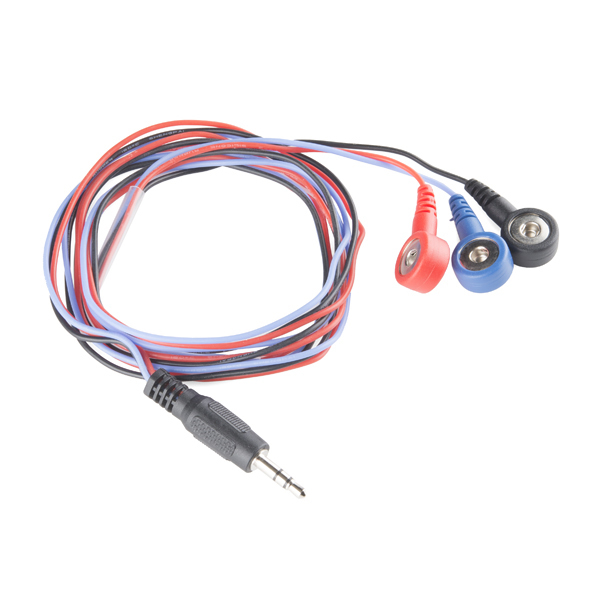 These cables are 24" long and feature a 3.5mm audio jack connector on one end with snap style receptacles for biomedical sensor pads. Each cable comes in a red/blue/black set.